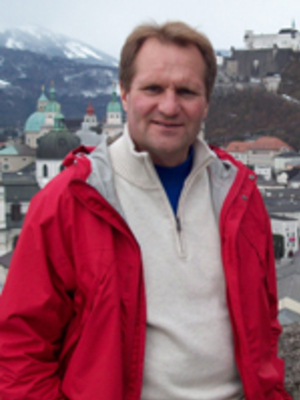 David Steigerwald is Professor of History at The Ohio State University. He teaches courses in Twentieth Century America, ranging from WWI through The Sixties. He is the author of Wilsonian Idealism in America (Ithaca, 1994) and The Sixties and the End of Modern America (New York, 1995). He co-authored, along with Michael Flamm, Debating the Sixties: Liberal, Conservative, and Radical Perspectives (2007). His critique of contemporary ideas about culture, Culture's Vanities: The Paradox of Cultural Diversity in a Globalized World, appeared in late 2004. He is finishing a study of American thought in the Age of Affluence, which will appear as "Lost in the Land of Plenty: Affluence and Alienation in Post-War America, 1945-2001." A selection of essays includes: "All Hail the Republic of Choice: Consumer History as Contemporary Thought," Journal of American History (September 2006); "Did the Protestant Ethic Disappear: American Values on the Cusp of Affluence," Enterprise and Society (Fall 2008); and "Walter Reuther, the UAW, and the Dilemmas of Automation," (Summer 2010), which was recognized as the year's best essay in American labor history by the journal Labor History. His latest contribution to the field is the symposium on the active role of consumer agency in history, co-edited with David Blanke, The Destiny of Choice: New Directions in Consumer History (Lanham, MD, 2013). His contribution to that anthology, "David Riesman on the Frontiers of Consumption," considers Riesman's disillusionment with the prospects of consumer agency as he lost confidence in the forecasts he and his colleagues made in The Lonely Crowd. Professor Steigerwald has twice been honored by OSU's Phi Alpha Theta with the Clio Award for Outstanding Teaching in History and is a recipient of the university's highest recognition for teaching excellence, the Alumni Distinguished Teaching Award. He was also awarded the College of Arts & Sciences Outstanding Teaching Award for 2016-2017. View Professor Steigerwald discussing twentieth century American history here.